Entry by Dariyuphie on Wed Oct 27 16:21:31 2010. I get to be it's 100th "liker" ! I love you kaito !!! Saw this on anivide and I couldn't stop staring at it. Such a well done picture. 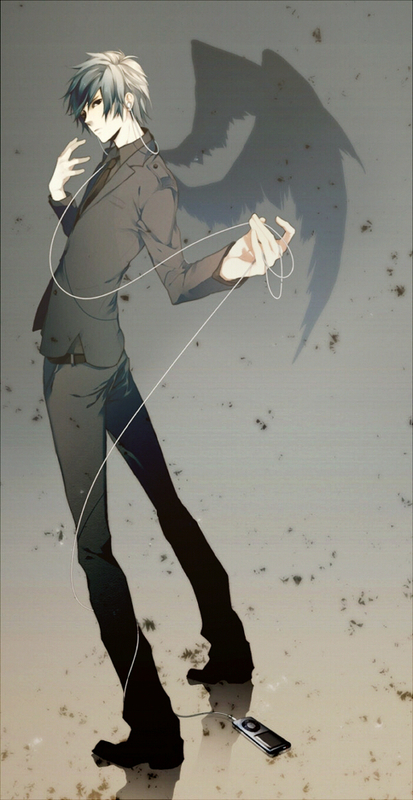 Course I had no idea it was Kaito >.>; But those wings are a nice proportion. I don't like him especially his voice but I love this picture. When my brother saw this, he's all, "Oh no! He dropped the ipod!"